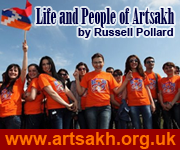 Home › Artsakh in the World › Artsakh, a Muslim land – since when? Artsakh, a Muslim land – since when? This week the Deputy Prime Minister of Turkey, Bekir Bozdag, said “Nagorno-Karabakh is a Muslim, Azerbaijani, and Turkic land occupied by Armenia”. 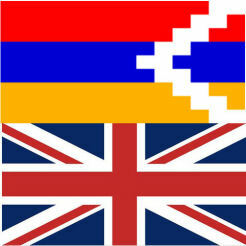 This was in response to Armenian President Sargsyan’s statement that “Karabakh is Armenian land and will remain so”. Bozdag emphasised “Until Armenia pulls out of Nagorno-Karabakh, until the rights of Azerbaijanis of that region are restored Turkish-Armenian relations will not be normalized”. This is all said in the context of supporting Turkish-Azerbaijani relations and the strengthening of a wider Turkic community. These political statements offer no compromise and little hope for the people of Nagorno-Karabakh. How any particular body of land can be considered to be owned by a religion or race of people, based on an indeterminate historical perspective is not clear. What timescales would he consider to be the length of time one would go back to establish the rights of ownership; when is “Day zero”? 50, 100, 500 years? Mr Bozdag will recognise that his own country was only formed in 1922, at a time when 90% of the population of Karabakh was Armenian. Turkey was created from the ashes of the Ottoman Empire, which includes large areas of land which had been occupied by Armenians for centuries (Western Armenia) – Christian, Armenian land? Each protagonist in a conflict on territorial integrity will pick their own “Day zero” to suit their political needs, and arguments. Bozdag has decided not to go further back than the 1920’s – if he did, he would have to accept that Turkey is currently occupying Armenian lands. He would also have to lay claim to parts of Eastern Europe, Russia and North Africa as being Muslim, Turkic lands, through the occupation of the Ottoman Empire. There is no historical ambiguity that current day Eastern Turkey was an Armenian homeland which was well recognised by President Wilson of the USA in 1920. If “Day Zero” was drawn up just earlier than the formation of the Turkish state, and that of Azerbaijan then the heritage of certain places would be quite different. Nakhchivan is another example of where the original composition of the people has been considered irrelevant in the assessment of its current day ethnic heritage. In Bozdag’s statement he calls for the rights of the Azeris of that region to be restored, presumably meaning that those who left over 20 years ago should be allowed to return. It is difficult to see how this would work practically, and would this mean that the Armenians who took up residence in Karabakh, during the war, should be “forced” to return to Azerbaijan. The census statistics at the outset of the war recorded that over two-thirds of the population of Karabakh was Armenian. Is the proposal of Bozdag that the whole of the region would be completely Azeri? In which case he would be overtly advocating ethnic cleansing. His emotive words are that Armenia occupied Nagorno-Karabakh in the 1990’s. Although it is clear that Armenia was supportive of the Karabakhi cause, and no doubt provided funding, men and weaponry, there is no question that Armenians were the majority of the indigenous population. 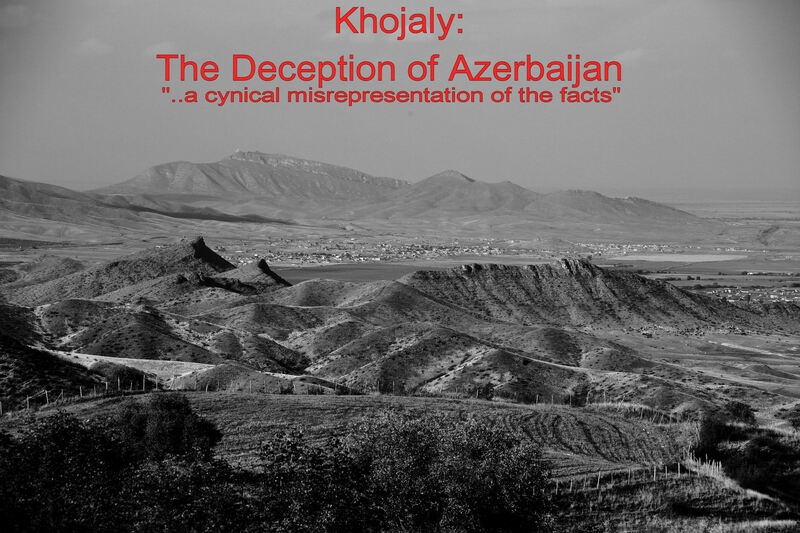 Whilst many Azeris fled Karabakh during the war, the assertion that this was an occupation does not bear any analysis. The attraction of an idealised, political statement has over-ridden the opportunity to make a constructive, progressive comment which might have helped the situation. In the last 24 years, people have consolidated their position in Artsakh. For many, conditions are still difficult with most of the roads being poor, money being scarce, and the options for growth very limited. Also in that period children have been born and some now well into adulthood. People only know of the true meaning of this war from their parents. They will probably have grown up with great suspicions about their neighbour and an expectation about their aggression, hearing, too often, that soldiers have been killed on the front line; they would have no experience of living with such people. The prospect of re-building a mixed community is not a near-term solution – this will take many decades. Politicians come and go, and quite often they are motivated by personal enmities rather than a wider humanitarian interest. The jingoistic comments of Bozdag are grossly irresponsible, and can only serve to de-stabilise the lives of thousands of people who are citizens of the world and should have the right to live peacefully. The people of Karabakh do not want war; I would imagine that the majority of people in Azerbaijan do not want war and do not want fellow human beings to be killed. His statements have no objective but to incite racial / inter-ethnic tension; this is an international crime, and because of that he should be brought to justice before it is too late!